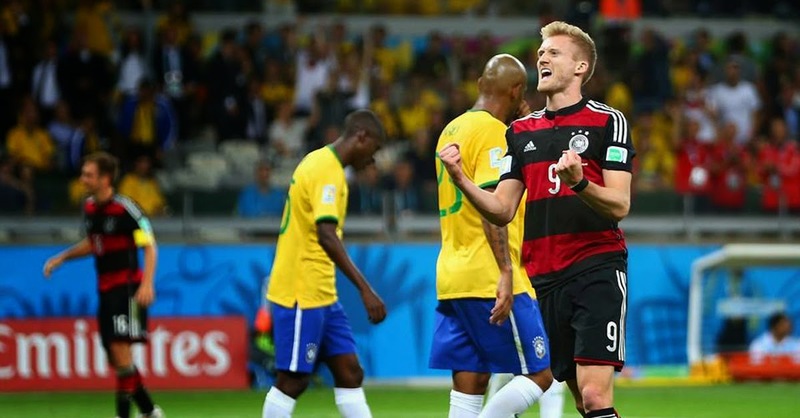 So, it will be Argentina versus Germany in the 2014 World Cup final. Just like it was in 1986 and 1990. This one at the Maracana on Monday morning Philippine time will be something of a tiebreaker. The Argentines won the first one 3-2 at the Azteca Stadium in 1986 in Mexico City; then lost to an Andrea Brehme penalty four years later in Rome. Those who read my previous World Cup Diary know that Argentina versus Germany was my fearless forecast for the final, primarily based on quarterfinal form. How this match-up came to be, that I did not see coming! I suppose, after the massacre at Belo Horizonte yesterday – the Brazilians, but of course, call it the ‘shame of shames’ – it was probably asking too much of Argentina and the Netherlands to dish out more of the same in their own semi-final at the Arena de São Paulo this morning. I expected this game to be cagey, as indeed both teams progressed to this stage not with free-flowing football but by being stingy at the back. But boy! I was watching the game in a semi-somnolent state. I would doze off watching either the Dutch of the Argentines shuffling the ball pointlessly at the back; and come to moments later to find them still doing the same. Then again, Silva’s second yellow was earned in the quarterfinal against Colombia. Would he have been able to play against Germany if Brazil had not taken such a negative stance against their fellow South American contenders? I would have appreciated the attritional tactical battle more if the game was live midday in Philippine time; but at four in the morning, a bit more football was required to keep even a diehard football fan’s eyes open. Several times, I considered a return to the warm comforts of my bed; only that I was probably too sleepy to even attempt that. Actually, neither team was playing to win. Both were playing not to lose. After the way the entire World Cup had gone when football flowed like champagne from off a goblet, this was a game almost of anti-football. It was so dull it could have killed the dead, and as dull as Brazil versus Germany was electric yesterday. In the end, the two teams could have spared the game’s worldwide audience the effort of watching because shootout was the only way it could have ended. That the Argentines won through to the final was all down to the return of the Dutch World Cup penalty hoodoo, something that I would have thought they had exorcised after their quarterfinal shootout success against Los Ticos. Of course yesterday, Germany scored enough goals for several matches, let alone a World Cup semi-final against the host team. I had written many times before that I did not think that Brazil would win this World Cup at home. But what I did not foresee was the manner with which their World Cup dream would be sent crashing to the ground. Younger readers will probably beg to disagree, but pardon me; I am old enough to recognise a great Brazilian team when I see one. I truly felt that the team had help from officiating in its opening game against Croatia and then again in the quarterfinal match against Colombia. That the team felt it had to resort to thuggery to nullify the threat of Colombia’s James Rodriguez spoke volumes about its lack of belief in itself, something that had been apparent right from the first game. Although the team was being carried along by the passion of the entire nation, the anxiety written on the faces of the players was the biggest telltale sign that there would be a cataclysmic implosion somewhere along the way. The timing of the cataclysm and the manner with which it was served was tragic for a nation with a proud tradition in the world game. I am a Germany supporter; but I felt not just for the Brazilians on the pitch but for everyone out on the streets who wept when the final whistle was blown to end a humiliating 1-7 debacle. All credit to Germany for getting the tactics right. Sitting back and playing swiftly on the counter exposed all of Brazil’s defensive frailties. In fact, the Germans only had 49% of ball possession, something that shows that it is not having the ball that really matters but what a team does with it. Moreover, the Germans did not linger on the ball the way the Colombians did; and this meant that the Brazilians could not use the same roughhouse tactics that worked so well against Colombia. Besides, the Germans were bigger. The Brazilians fouled only 11 times compared to the Germans’ 14. Contrast this to the 31 fouls the Brazilians committed against the Colombians,who had only 23. Yet, how many times would the rebound fall so kindly for Miroslav Klose to score his World Cup record 16th goal? Or, how many times would Toni Kroos find the bottom corner with a first time shot amidst a crowd of players? No, that the scoreline was so emphatic was because all the luck was going Germany’s way, too. Not that Brazil could have won with the way they were defending. Luiz Felipe Scolari was spot on when he admitted that they would have lost to the Germans even had Neymar been on the pitch. Perhaps, had Thiago Silva been there, things would have been different, as Brazil defended without a clue. That said, it is a tournament; and every coach knew he had to plan for one. Player suspension was always a possibility for every team and, therefore, will never be valid as an excuse. The world began to cave in, in my humble opinion, starting from Thomas Müller’s 11th minute goal, one which was criminally defended. That is, if you can even call it defending because Müller had all the time in the world to slot the ball under Julio Cesar from off a corner. Imagine a child who has been having nightmares about a hairy monster that steals into his bed in the dead of the night, and how he feels on the night when the monster finally makes its appearance from out of his head and onto the foot of his bed. That was how the entire Brazilian team looked after Müller’s goal; and more so after Klose added the second. Petrified, that was what Brazil was. The monster finally showed itself; and its name was expectations. The Germans finally made the Brazilians realise the pain and burden of carrying it on their shoulders since the tournament began last month. My fearless forecast for the final? On current form, Germany; albeit the Argentines will not roll over the way the Brazilians did. As a Germany fan, however, I am well aware that the Argentines have not been totally convincing on their way to the final and are due one good game similar to Germany’s against Brazil. That and the fact that no European team has ever won a World Cup in the Americas. That said, this has been one World Cup when records and history have counted for little. Perhaps, it is time the Germans lay to rest this bit of history as well.